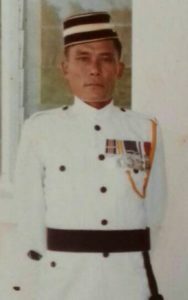 Gurkha rifleman who won two Military Medals for showing coolness under fire in Brunei and SarawakHONORARY LIEUTENANT NAINABAHADUR RAI, who has died aged 77, won two Military Medals during the “Confrontation” with Indonesia in the 1960s. In 1963, Nainabahadur was a rifleman serving with B Company 2/7th Gurkha Rifles. In March the Company, which had been training in Singapore and Hong Kong, was moved to the islands of Baru Baru at the mouth of the Brunei River. Their task was to drive units of the North Kalimantan National Army out of the mangrove swamps and prevent them from escaping by boat. In the early hours of May 18, Nainabahadur’s platoon embarked on assault boats and set off for the area where reports indicated that the rebels were hiding. They landed in daylight on the north bank of the Brunei River near Serdang and formed an ambush line. The men were placed at intervals of about 100 yards to cut off the retreat of rebels thought to be in a nearby swamp. Firing broke out in the swamp and four rebels came charging down a narrow track towards Nainabahadur. The leading one pointed his pistol at Nainabahadur, who fired and killed two of them at 15 yards with a single bullet. The other two ran into cover but Nainabahadur took them on, wounded both and made them prisoner. One turned out to be a high-ranking officer. Nainabahadur was presented with his first MM by the Queen at Buckingham Palace. He went to the Savoy Hotel for lunch and was introduced to Churchill. Nainabahadur Rai was born on or about January 1 1941 at Thana Gaun, a village in the Kotang District of East Nepal, some four days walk from the nearest town of Diktel. When he was old enough, he worked on his family’s smallholding, tilling the terraced rice fields with a plough drawn by the family cow. No previous members of the family had ever joined the Army. Aged 16, Nainabahadur came down from the hills to the British Recruiting Depot at Dharan and was selected. In November 1957 he was sent to the Brigade of Gurkhas Training Depot. Nine months basic training followed and he was then posted to B Company 2/7 GR. On June 24 1966, reports of enemy activity in the Bau District of Sarawak were received. Nainabahadur, then a lance corporal, was serving in a mortar platoon attached to C Company. They moved off at dusk, walked all night and, at first light, Nainabahadur and three men set about clearing an overgrown gully. Spotting the tracks of at least three people in the swampy ground, he followed these with his comrades, moving quietly. At one stage they lost the trail, but Nainabahadur found a sapling uprooted as someone had hauled himself up a slippery slope. They were crawling through thick scrub, visibility reduced to a few yards, when two of the enemy emerged but darted back under cover. Nainabahadur shouted that he had made contact and, ordering two of his men to cover him, he took the third rifleman and plunged into the tangled undergrowth. After crawling for about 15 yards, he saw one of the enemy just three yards away, burrowed into thick fern. When Nainabahadur called on him to surrender, the man drew his pistol and fired at point blank range. But because of the awkward position he was in, he missed. Nainabahadur and the rifleman opened fire and killed him. Shortly afterwards, three more of the enemy were captured. The citation for the award to Nainabahadur of a Bar to his MM paid tribute to his coolness, courage and leadership under fire. Nainabahadur continued his career with the battalion. He served in the Far East and was later posted to Norway where he served on the house staff of General Sir Walter Walker, C-in-C Allied Forces Northern Europe. He eventually reached the rank of regimental sergeant major of the battalion. In 1980, after almost 23 years’ service, he retired and was made an Honorary Lieutenant. He later served the Sultan of Brunei in the Gurkha Reserve Unit and reached the local rank of captain. After finally retiring, he set up home in Kathmandu. Nainabahadur Rai married Ratnamaya Rai. She survives him with their son and three daughters. Article source: The Daily Telegraph on 10 May 2018.